Welcome to my review of the new HiFiMan Edition S Headphones. The HiFiMan Edition S cost £189 and now is the cheapest headphone in their range with the most expensive costing over £2,000. So HiFiMan have taken all the audio knowledge and create a more budget priced headphone that sounds superb. Work in an office and don’t want everyone to hear what you are listening to. Get home and wait to experience the full benefits of an open back headphone. 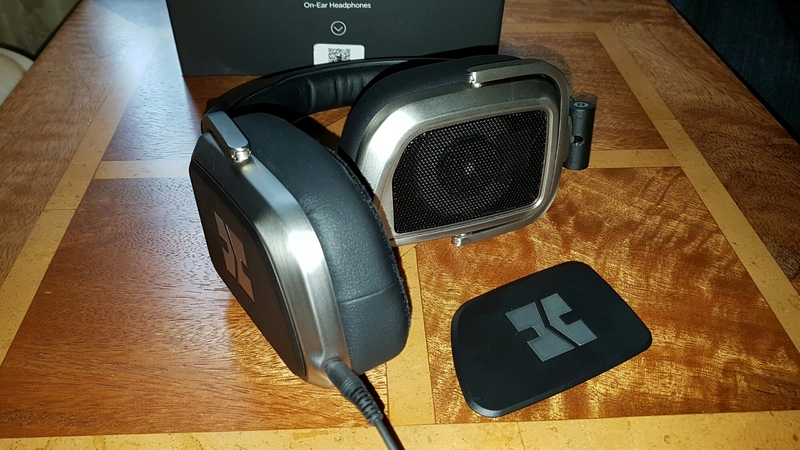 Or fancy a slightly punchier, stronger bass sound that you can get from a closed back headphone, then the HiFiMan Edition S tick all the boxes. I tested these headphones using my Samsung Galaxy S7. The S7 does not have a powerful headphone amp, yet the HiFiMan sounded excellent. This is helped by being highly efficient cans. They possess quick timing and have a slightly warmish sound. I really liked these headphones straight out of the box. In the box, you get a hard carry case, a 6.3mm and airplane adapter, and the cable which has basic controls for android and iOS devices. Because the cable is removable, you can upgrade or replace it as required. So what else is special about the HiFiMan Edition S. Well they are comfortable and very easy to drive. They sounded superb straight out of my Samsung S7. In open or closed back modes, the bass is tight and fast and deep enough to keep me entertained. The headphones were able to pick out nuances in the music that other headphones hadn’t been able to do. Whether in open or closed back mode the sound stage was wide. Obviously, in closed back mode (this is with the speaker plates on) bass is slightly enhanced and the sound stage reduced. A tiny amount of sound does escape in closed back mode at medium to high listening levels. With the speaker plates off, this is open back mode and the sound freely escapes. The speaker outer plates are held on via magnetism. See video below. Genres used were pretty much everything – classical, pop, rock, jazz, blues, opera, dance and more. I used streaming apps from Google and Amazon as well as USB Audio Player Pro and Poweramp Alpha apps. So after testing the HiFiMan with my S7, I decided to upgrade the experience and use an Oppo HA-2 Headphone/DAC and replace the headphone cable with an Atlas cable. The difference using both of these extras created a cleaner and tighter sound, and more insightful. I could pick out even more detail and the sound stage was even wider. This was a perfect upgrade in my view. Below is a video to compliment this written review. Out of the box the HiFiMan Edition S shine. With the versatility of open or backed and being one of the easiest pairs of headphones to drive from HiFiMan, these are highly recommended. More information and latest deals on Amazon UK – Click HERE.